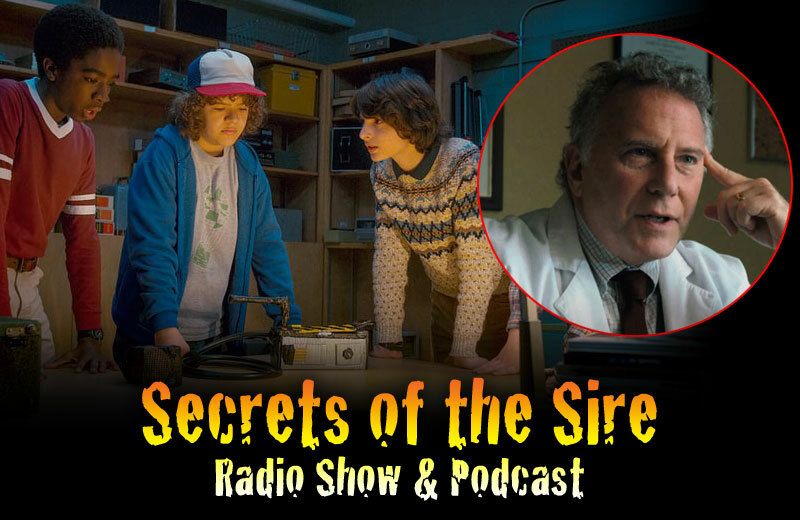 We’re all over the new season of Stranger Things 2 with one of the show’s stars, actor Paul Reiser! Did it live up to the hype? Was it better or worse than season 1? And what about that episode 7? PLUS: We’re on Amazon Alexa devices now! Look up “Spreaker Podcast Radio Player “ on Amazon and enable it on your Alexa device. Then “Alexa, open Spreaker” Then “Alexa, open Secrets of the Sire” – ain’t technology grand? Here’s our Yay and Nay for Stranger Things 2 as we ask the question: Too much 80s? Is why we like this show nostalgia versus good storytelling? For me it got interesting every time Paul Reiser and the government got involved. Dustin & Lucas were the most engaging – the dynamic of them trying to impress MadMAx – felt like Turtle and Drama from Entourage. Liked the Hopper /Eleven storyline especially with him losing his daughter. This whole season both maintains the feel of the first while having completely nothing to do with it at the same time. More character driven. More after effects. Doesn’t make it better but it is different. Will and Mike look too much alike. The “Gremlins” nod with Dart…that’s where we start getting into..is this too much nostalgia based stuff? Are we simply rehashing the movies we love? Temple of Doom reference too… could have been cool if it was a scarce reference, the whole season felt like a nod to other movies, right down to Paul Reiser reprising his role from Aliens. NEXT WEEK: We go full Thor: Ragnarok! Is this another win for the Marvel U? Or is this just another Avengers movie in disguise?